The only player to not practice on Wednesday was tight end Evan Engram (hamstring). Defensive end Kerry Wynn (concussion), linebacker Lorenzo Carter (hip), linebacker B.J. Goodson (neck), linebacker Tae Davis (ankle), cornerback Grant Haley (hamstring), and safety Curtis Riley (shoulder) were limited in practice. Wide receiver Cody Latimer, who is currently on Injured Reserve due to a hamstring injury that he suffered in October, returned to practice. Latimer has missed five games and must sit out eight before he is eligible to return to the active roster. 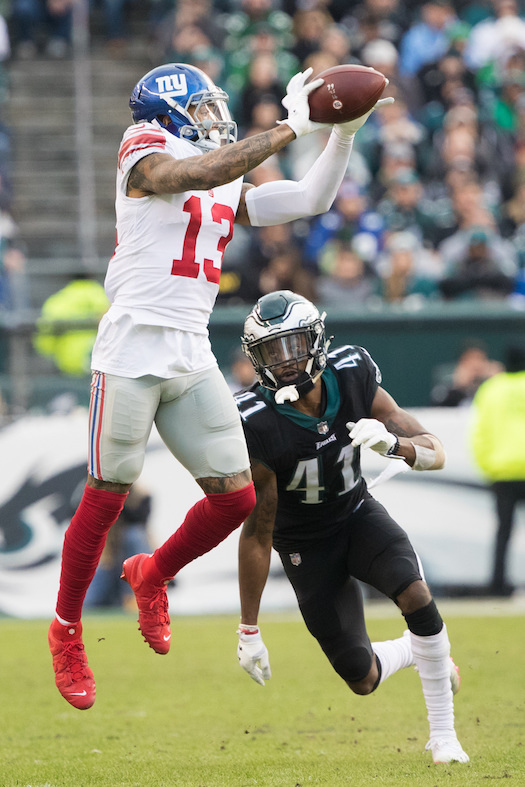 After the game against the Tennessee Titans on December 16, the Giants will have three days to decide whether to activate Latimer or keep in on Injured Reserve. Latimer joins running back Jonathan Stewart as players on injured reserve who have been designated for return/returned to practice. Stewart is eligible to rejoin the roster now. If the Giants do not make that moved by December 6, Stewart must remain on Injured Reserve for the rest of the season. The New York Giants have signed tight end Hakeem Valles to the Practice Squad. The 26-year old, 6’3”, 250-pound Valles was originally signed by the Arizona Cardinals as an undrafted rookie free agent after the 2016 NFL Draft. He also spent time with the Detroit Lions in 2017-2018. Valles has played in 15 regular-season games with one start, and has caught two passes for 11 yards. To make room for Valles, the Giants terminated the Practice Squad contract of Marshall Koehn, who the Giants had re-signed last week. Koehn was originally signed by the Miami Dolphins as an undrafted rookie free agent after the 2016 NFL Draft. He has spent time with the Dolphins (2016), Minnesota Vikings (2017), and Cincinnati Bengals (2017). The Giants signed Koehn to a reserve/futures contract in January 2018, but waived him before the season started. The Giants practice again on Thursday and Friday in preparation for Sunday’s game against the Chicago Bears.